Agriculture Minister Tommy Tomscoll has showed that he is one who practices what he preaches by growing, producing, and exporting his own brand of coffee. 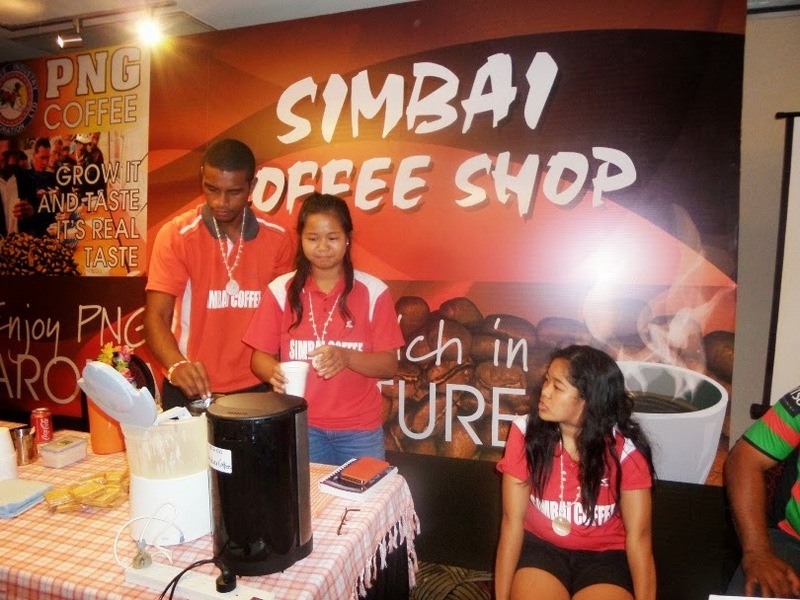 Tomscoll, his wife, and children attracted a large crowd at Gateway Hotel on Sunday, September 21, when they showcased their brand-new product, Simbai Coffee, which is premium organic coffee from this remote part of Madang which borders Jiwaka and Enga provinces. A proud Tomscoll family of Simbai with their new Simbai Coffee. At back (l-r) are Sibona, Tommy, and Elizabeth. Middle row are Josephine, Vernetta, and Stephne. Front are are Tristan and Junior. The packed Simbai Coffee ready for export and supermarket shelves. 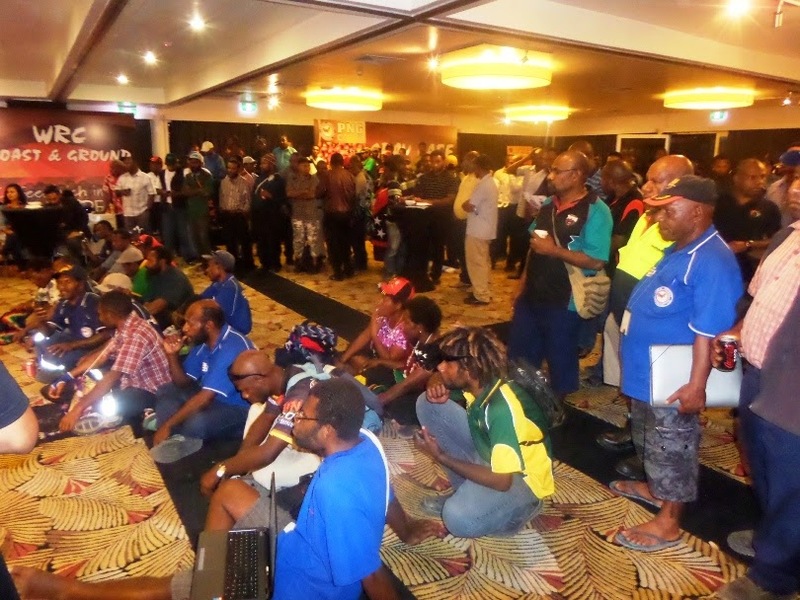 The occasion was the launching of the weeklong inaugural PNG Coffee Growers’ Cupping Competition at Gateway Hotel which is being attended by smallholder coffee growers from throughout the country as well as international coffee tasters. “Simbai Coffee is grown by the people of Kalam tribe, who all live in Simbai, on the border with Jimi in Jiwaka and Kompiam in Enga. Tomscoll said only coffee grown in Simbai was used to produce Simbai Coffee to maintain its originality and premium. He said he only started producing Simbai Coffee about three months ago. “We grow coffee, and we also buy coffee from all our farmers, which is then converted into green bean using our new machine, and then turned into ground coffee. Tomscoll said he also grew and exported cocoa out of Madang. “We might also go into oil palm soon,” he said. Tomscoll’s wife and children also took part in the week-long cupping competition where they showcasde their very own Simbai Coffee. 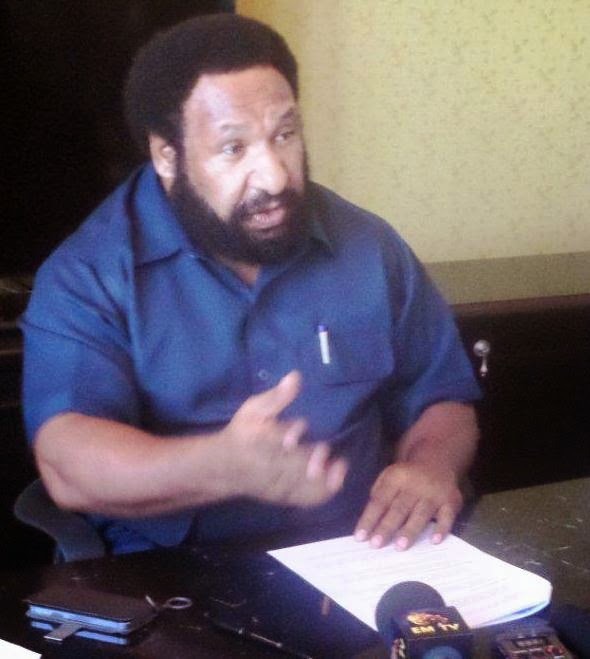 Kandep MP and Triumph Heritage Empowerment (THE) Party leader Don Polye on Sunday confirmed that his is now in the Oppsition ranks. He confirmed this to reporters at a press conference he held on Sunday but declined to comment on whether on he wanted to take up the position of Opposition Leader. “That’s not an issue,” he said of the Opposition Leader’s position. “Why are people making this as an issue? 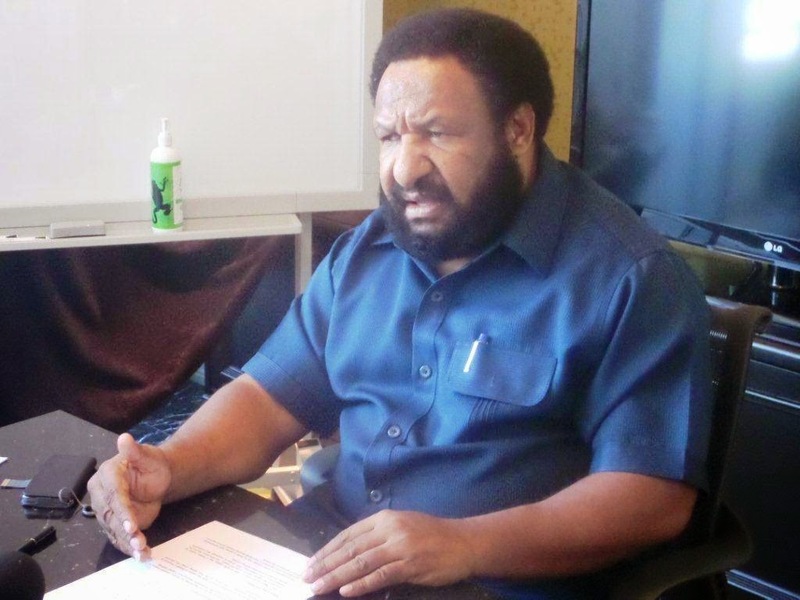 He maintained that THE Party was intact despite several of its MPs, including Deputy Prime Minister Leo Dion, leaving en masse for Prime Minister Peter O’Neill’s ruling People’s National Congress. 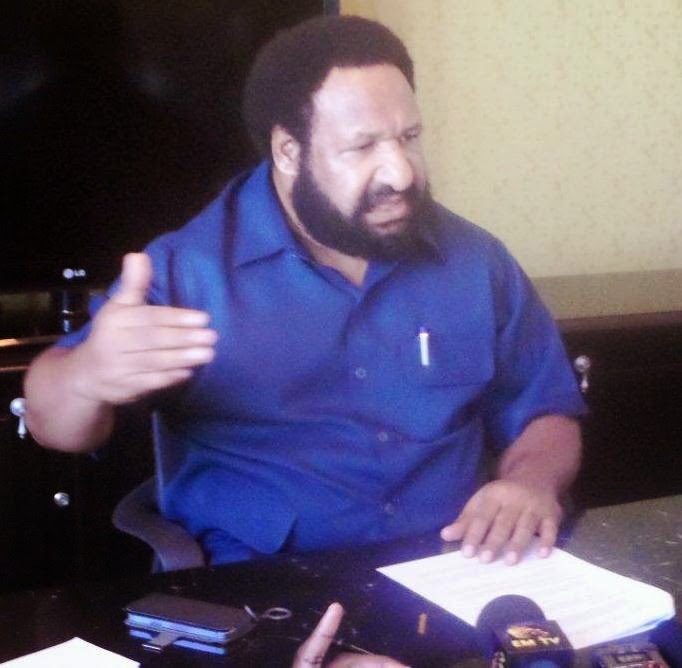 “Look at the Organic Law on Intergrity of Political Parties and Candidates (OLIPPAC),” Polye said. “It says that the party constitution regulates MPs and other members. “The constitution says that if you want to resign from THE Party and join another party, you have to give your reasons to THE Party council. “THE Party council determines that and says, ‘OK, we’re releasing you, you can join another party’. “In this case, none of these people (who joined PNC), have written any letter. “I only find out in the newspapers that m MPs have joined the PNC Party. Agriculture Minister Tommy Tomscoll says growing and harvesting coffee remains the best opportunity for smallholder rural farmers to work their way out of poverty. He said this at the awards night for the week-long inaugural PNG Coffee Growers’ Cupping competition in Port Moresby on Friday. Agriculture Minister Tommy Tomscoll, Kabwum MP Bob Dadae, PNG Coffee Growers’ Cupping Competition winner Jonah Anagoh from the Kanite Kirapim Association of rural Okapa in Eastern Highlands, Daulo MP and a former Coffee Industry Corporation CEO Ron Ganarafo, and acting CIC CEO Anton Benjamin on Friday night. “Smallholder coffee farmers work in the informal sector of our economy,” Tomscoll said. “They make up 85% of the workforce in this sub-sector. “They generate K400 million annually in revenue and account for the livelihood of three million people. Part of the large crowd of coffee growers, their families, and supporters who packed the Gateway Hotel on Friday night. Tomscoll said the government had already provided assistance through freight subsidies, establishment of district nurseries and seed gardens, increasing quality assurance programmes, and undertaking partnership with the World Bank. “From early this week, the government sponsored the first international cupping quest staged in Papua New Guinea,” he said. “This quest has facilitated communication and education between farmers, and farmers and exporters, measured the quality of coffee beans, and most importantly, put monetary value to the cup of coffee. “It is during cupping quest that new alliances, networks, and business opportunities are founded. Family members of Agriculture Minister Tommy Tomscoll showcasing their brand-new Simbai Coffee which is produced from coffee grown by Tomscoll himself as well as smallholder growers from rural Simbai in Madang. “The government believes that through the distribution of new coffee seeds for planting, it should lead directly to increased production, should bring new income, and create new employment for the unemployed youths and rural people. Tomscoll to “think global, acting local” by planting coffee gardens in small family sizes. “When we depart from here after tonight, I want us to go away having belief in ourselves that we are collectively the future of the coffee industry. “We will plant coffee gardens in small family size – and we will think big – and as individual families we will act local. Coffee Industry Corporation and National Airports Corporation have entered into a deal to promote Papua New Guinea coffee at all major airports in the country. 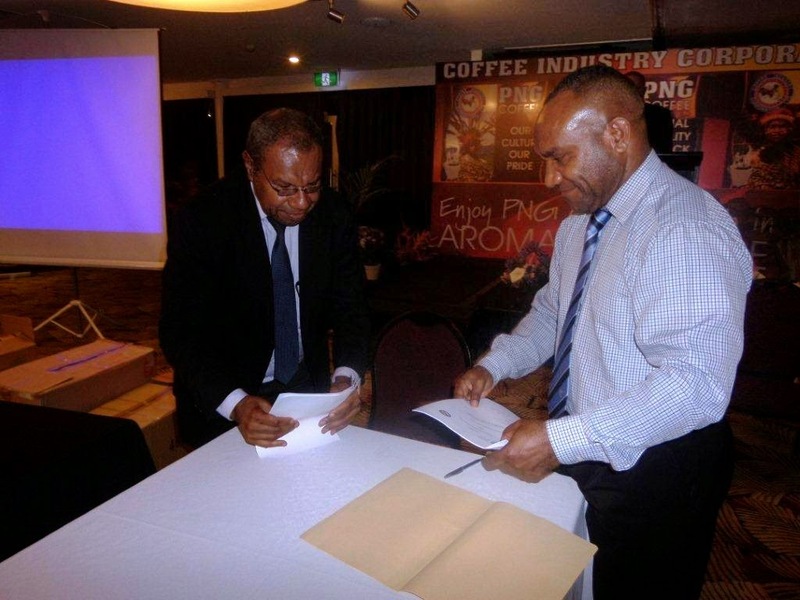 The deal was signed by acting CIC chief executive Anton Benjamin and NAC CEO Joseph Tupiri at the awards night of the inaugural PNG Coffee Growers’ Cupping Competition in Port Moresby on Friday. Acting CIC chief executive Anton Benjamin and NAC CEO Joseph Tupiri are all smiles after signing the agreement at the awards night of the inaugural PNG Coffee Growers’ Cupping Competition in Port Moresby on Friday. 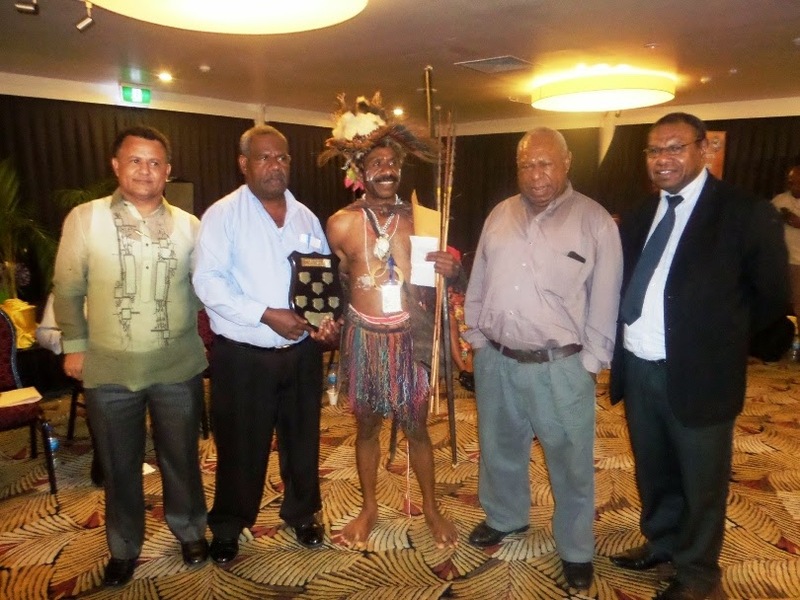 The winner of the competition, Kanite Kirapim Association of remote Okapa in Eastern Highlands, will have exclusive rights to sell coffee at all of NAC’s 23 airports including Jackson International Airport in Port Moresby. 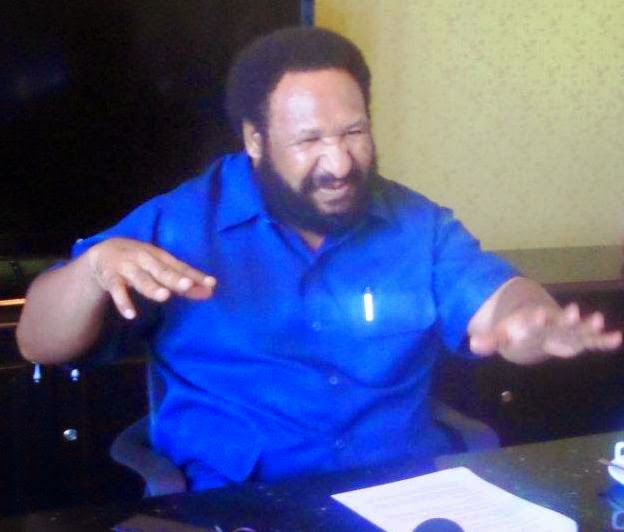 Benjamin said CIC would work together with NAC to promote PNG coffee both locally and internationally. “What’s an airport guy doing here at a coffee cupping competition?” Tupiri said. 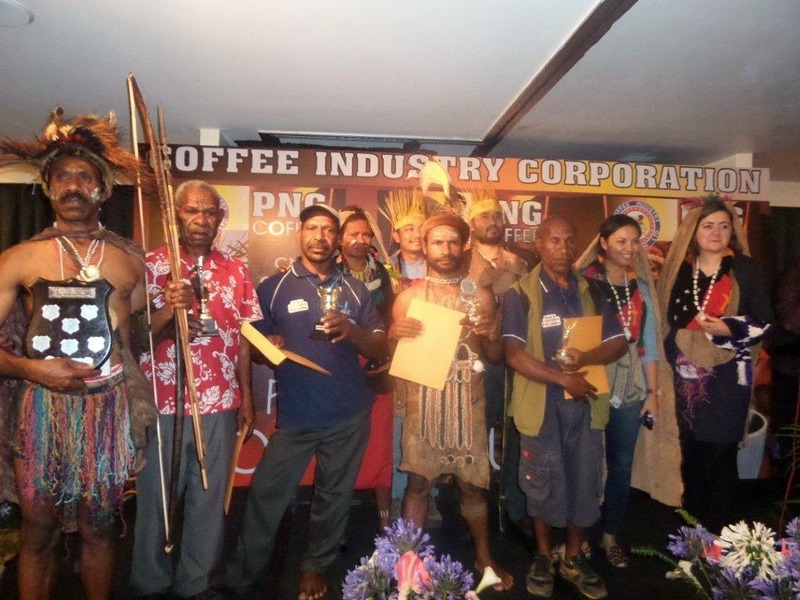 “I had an idea to promote PNG coffee at our airports throughout Papua New Guinea. 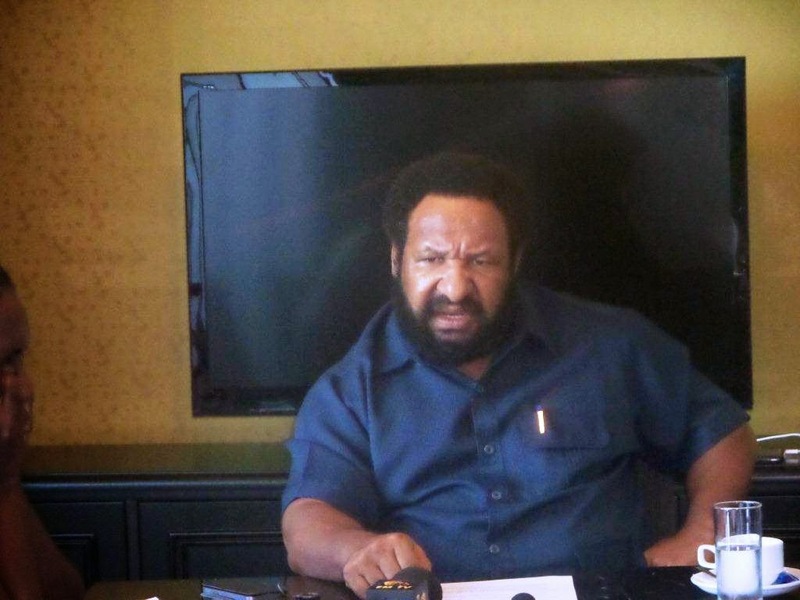 “The winner of tonight will have exclusive rights to sell at NAC’s 23 airports in PNG. “Extending the (Jackson) Airport terminal building at the moment, we are creating a coffee house, which will be opened next July. “The winner of tonight will have exclusive rights to sell coffee at the airport. “We are partnering with CIC to promote coffee where National Airports Corporation goes in the world. “In 10 years time, that story might lead to something greater. Remote Okapa in Eastern Highlands has been rated as having the best coffee in Papua New Guinea. Winner Jonah Anagoh of Okapa’s Kanite Kirapim Association. Cupping Competition awards night in Port Moresby on Friday after a hectic week of tasting 69 coffee samples from all over the country by an expert panel of five international and one local taster. 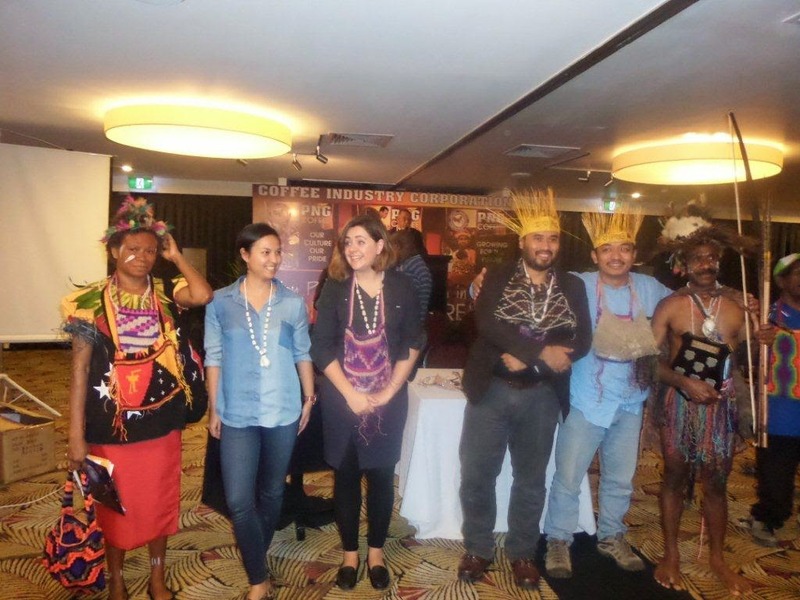 Tasters Rose Romalus from CIC, Juliana Nobre and KC Reynolds from Australia, and Adi Taroepratzeka and Ulden Banu from Indonesia with winner Jonah Anagoh of Okapa’s Kanite Kirapim Association. 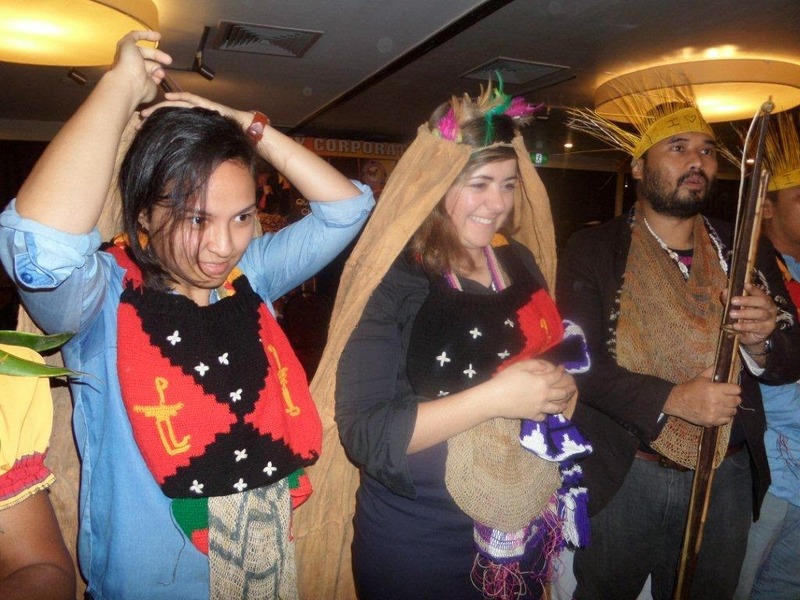 Juliana Nobre and KC Reynolds from Australia, and Adi Taroepratzeka from Indonesia are showered with gifts from PNG coffee farmers. Nobre and Reynolds are wearing traditional rain capes from the remote Menyamya area of Morobe. The tasters, who had to taste over 700 cups last week, were Marichi Clarke, Juliana Nobre and KC Reynolds from Australia, Adi Taroepratzeka and Ulden Banu from Indonesia, and Rose Romalus from PNG’s Coffee Industry Corporation. Winner Jonah Anagoh of Okapa’s Kanite Kirapim Association with the other four top prize winners and tasters on Friday night. Hundreds of people including coffee growers, family members, and supporters of the industry packed the Gateway Hotel for the awards night. Jonah Anagoh, who picked up the award for Okapa, said winning would certainly place this remote part of Eastern Highlands on the world map. “We have come all the way from Okapa with our extension officers,” he said. 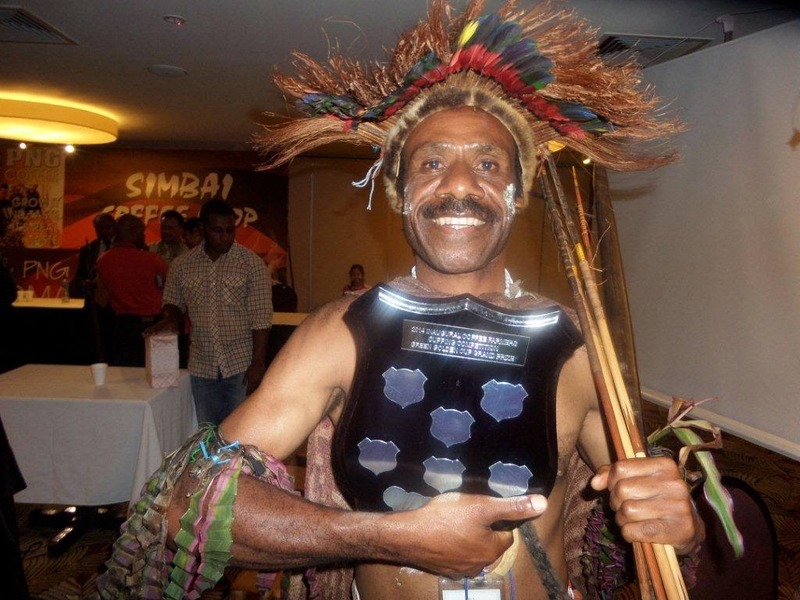 “It is a great honor to win this first-ever type of award for the coffee industry in PNG. “I’m so happy for us people of Okapa to be recognised like this. “We Okapa people are ‘bush’ people who work very hard in looking after our coffee. “We are so proud that our coffee has been recognised as being the best in the country. Reynolds, on behalf of the tasters, said they had discovered some “very beautiful coffees” during the week. 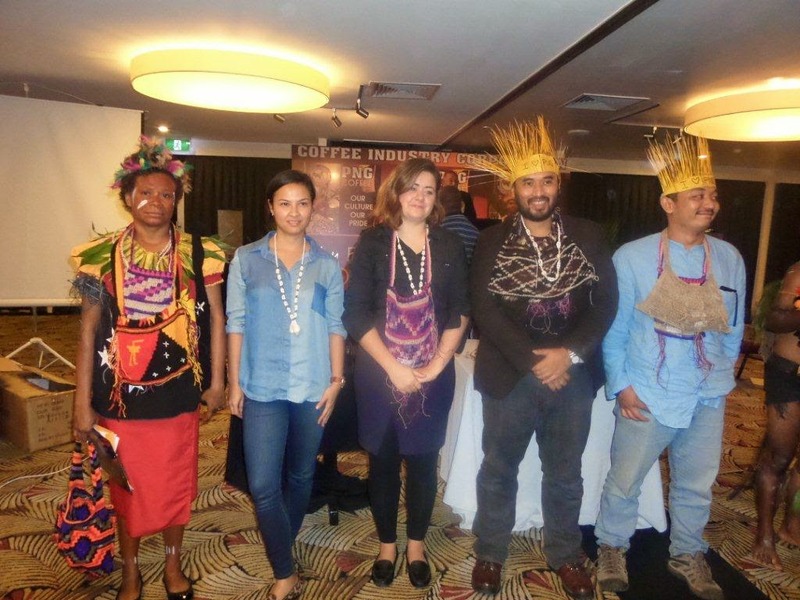 “We had a big task all week of tasting all 69 coffees and getting acquainted with the best of PNG coffee” she said. “In total, we brewed and tasted 730 cups of coffee. Reynolds advised quality could be improved by not picking under-ripe cherry, drying properly, and proper fermentation. However, she said they had discovered some “very great flavors”, which showed the quality of PNG coffee. Tasters Rose Romalus from CIC, Juliana Nobre and KC Reynolds from Australia, and Adi Taroepratzeka and Ulden Banu from Indonesia. “We found flavors of blueberry, wine, dark chocolate, cherry, milk, candy, melon, honey, lime, caramel, apple, grape, apricot, hazel nut, guava, hibiscus, mango, jelly, turmeric, and many, many more flavors,” Reynolds.